Microsoft brings the stable version of Windows 8, by removing the beta tag from it. You can now officially get Windows 8 operating system(OS) with the purchase of any Laptop, Tablets or Microsoft Surface. Microsoft is aiming to keep its users addictive to the new User Interface by keeping it very simple for the users. Microsoft has tried its best to give you a better interface which can be synced with other devices too. The base operating system has been kept untouched which means you will get the same feel of using Windows 7 apart from missing Start button and few more updated features added to it. 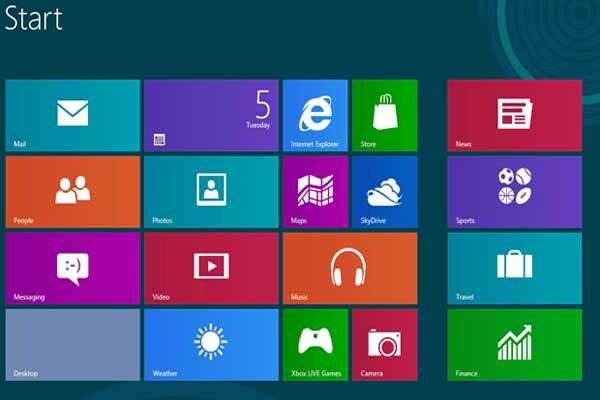 The style using it and tile look of the features and applications have been added to the Windows 8 OS. Related Post: Things you should know to build your own Computer? 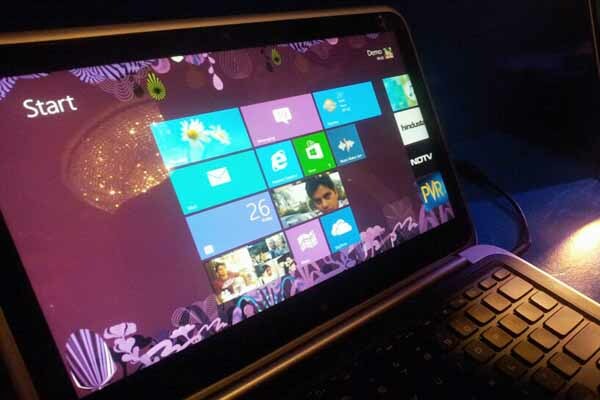 What are the New features added to Windows 8? Interface Design: has been built making ease of usage of rich applications which can get a good feel to the user. The Start button may be missing in the OS but has a Start tile view which shows all the applications running in the background in a tile. At least, Microsoft has made an effort to give a clean desktop to the user with Metro UI when the logged in rather than getting the cluttered desktop filled with files. Less boot up time: in comparison with previous versions of Windows, Windows 8 takes less boot up time. Windows have really worked on this part, but am not sure about that how long this stays less because it also depends on the number of applications you use. Related Post: Evaluation of Microsoft Logo in Digital era. Charm Bar: is a universal toolbar which has lot of features added to it. The best part is that, this time Internet has been kept as a heart of Windows 8. It has Search, Share, Start, Devices and Settings in Charm bar which pop up every time you click Windows+C. Improved file search: with the help of new search in Charm bar you can locate everything you need to locate in the operating system. The charm search is very cool in bringing the search results in no time. You can even search into the application with this search. When the application is not found it will smartly give you results from Internet. Rich applications: support has been provided in Windows 8. It has a wide range of applications which you wish to install, accordingly it keeps on updating the apps with on going updates if the Internet connectivity is added. Microsoft also has a added a app store for it where you can download the apps with your Live ID. You can get all types of apps with Windows 8 both paid and free like BigFlix, Burrp, Dhingana, Flyte MP3, Gaana, Yahoo Cricket, and many more apps which include banking, traveller and finance apps also. Related Post: Basic steps to use UNIX/LINUX – for beginners. Security: Microsoft claims to be its most secure OS from virus and malwares. It provides Defender Antivirus which is similar to old Microsoft Essentials and disables itself when you install a third party Anti-virus like Symantec, Kaspersky or any other Antivirus. It provides secure boot up which means it does not allows virus to get active when the system boots. Family safety options allows to keep the filter for children using the system. It works with Windows Live ID and can restrict any games or applications. Also helps to filter the usage of Internet surfing in the system and send a log report to your ID. Integrated Cloud: Skydrive feature is an add on to all the services which allows a 7 GB storage which can be increased on purchase of extra storage. This helps you to keep all your files, contacts, calendars, photos, videos. You can easily share files with others, but can use this only with Windows Live ID. Windows Live sync: once you have logged in with your Windows Live ID, you can customize it in your own way by moving up the applications, setting up the wallpaper of your choice or placing the regular apps in the front screen tile. You can migrate the same style to any other Windows 8 computer or tablet you are using because it migrates the setting by just logging in to Windows Live ID. It work as a roaming profile which is present in Windows in a networked environment. Drop a comment if you think I missed few important feature. « Learning from Red Bull Stratos – How to create Buzz!